If you're a fan of IKEA, you'll be happy to know that you can now get their 2017 IKEA catalogue! Sign up at the link below to request your Free catalogue for home delivery, or you can also download and view it online. Offer available for a limited time. 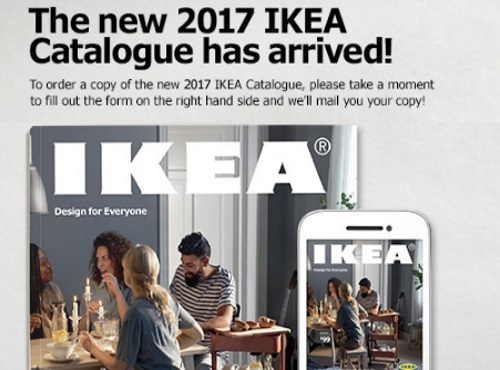 You should expect to receive your IKEA 2017 catalogue in the mail within 2-3 weeks. Click here to get the catalogue. I got my catelogue in the mail a few weeks ago and love, love, love it. So much inspiration. Really look forward to getting it every year.